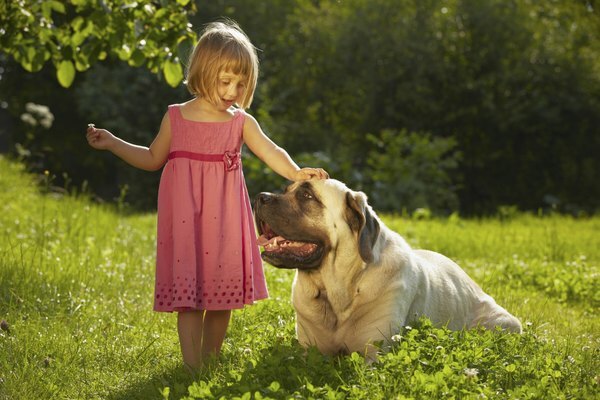 Mastiffs are one of the largest dogs that the American Kennel Club recognizes as a breed. 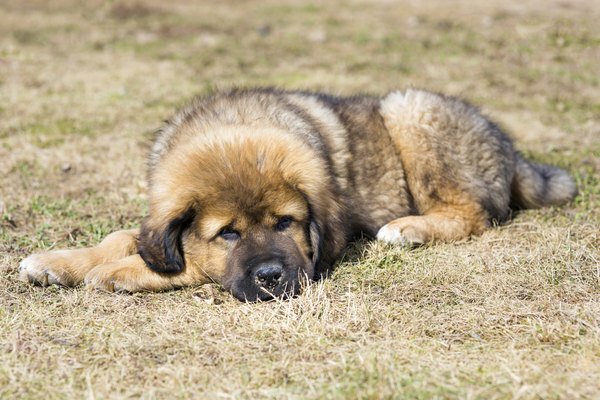 This breed is a powerful, but gentle giant with dark expressive eyes, bred as a watchdog in England to protect herds from predators and protect his home and family. The mastiff needs space for his massive frame, but requires little grooming and only light exercise. 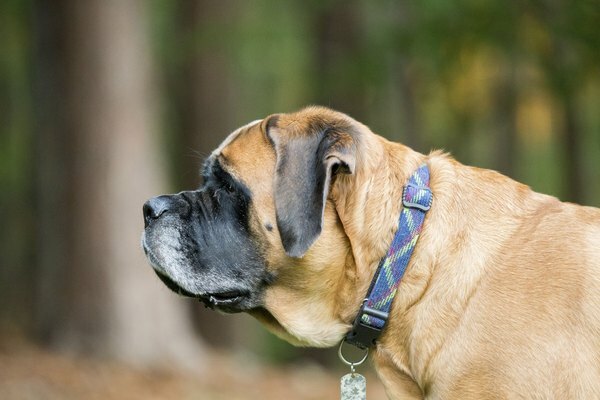 The AKC recognizes mastiffs in fawn, apricot and brindle colors for show dogs with distinct black markings on the muzzle, ears, nose and around and between the eyes. Two distinct colorations are described as fawn in coat color. 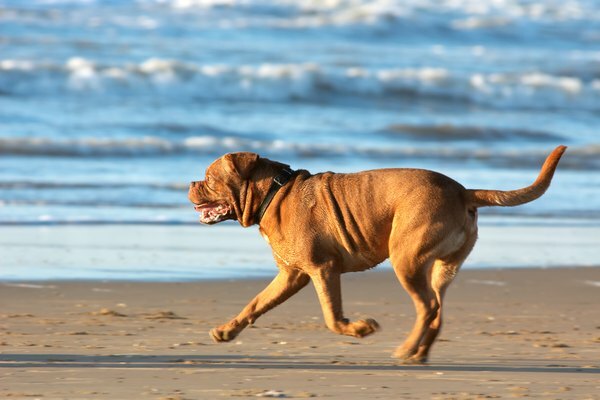 A fawn mastiff is either a reddish-yellow resulting in a tan coat, or a very light grayish-brown coat that appears tan. An apricot mastiff has a coat color that ranges widely from an orange tint to a yellow that looks faded. Any range in between the two is an apricot coloration. Brindle is a coat pattern of two distinct, different colors. A brindle mastiff has either fawn or apricot as the primary background color that is completely covered with dark stripes. The stripes are generally dark enough to be considered black. Mastiffs have dark or black markings on the muzzle and ears, as well as around the eyes and up between the eyes to form a mask. The mastiff nose should be dark or black. The American Kennel Club breed standard allows a small patch of white on the chest. 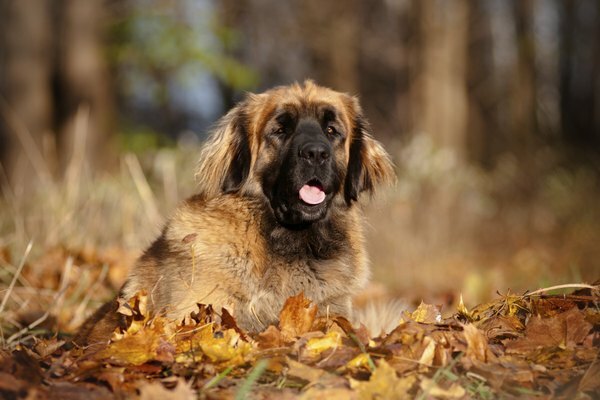 A mastiff has a dual layer coat with the exterior layer being moderately short with straight and coarse hair. The undercoat lies close to the body and is dense and short. 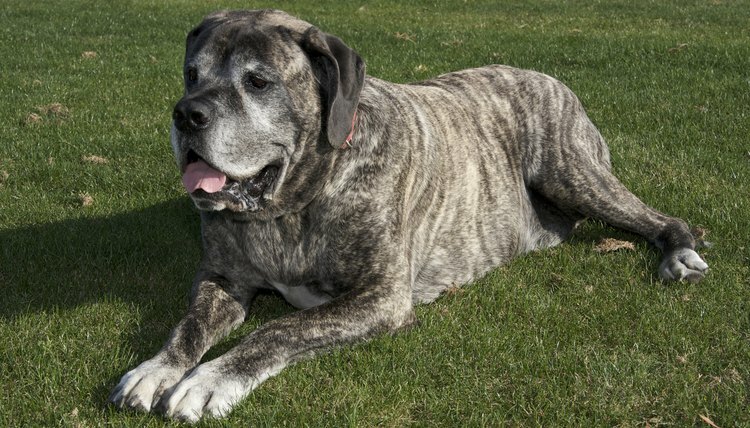 The mastiff coat should be short enough so there is no "fringe" evident with protruding hairs on the bottom of the sides toward the belly, on the backside of the tail or on the back of the rear legs.